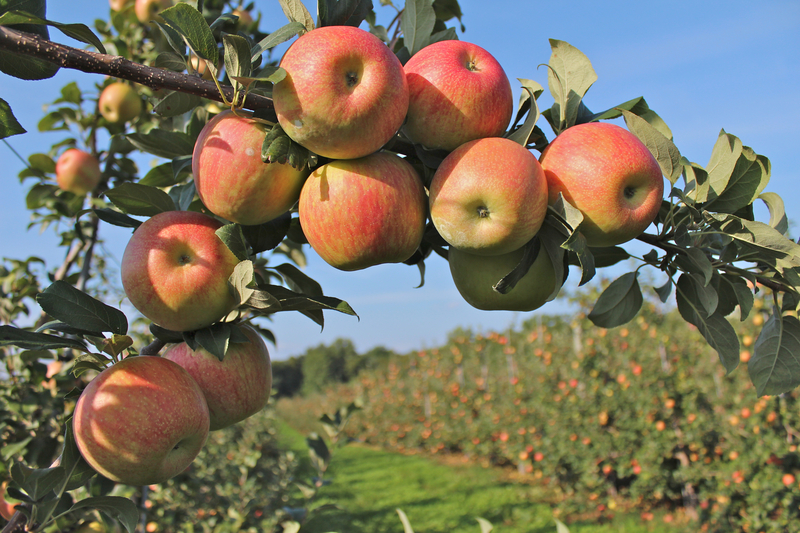 APPLES COME and apples go, but McIntosh is that rare variety whose popularity never fades. It took nearly 70 years after its discovery on a Canadian farm more than 200 years ago for McIntosh to make its commercial debut. 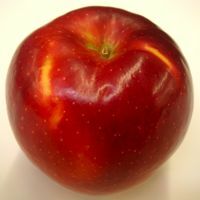 But since 1870 the Mac has enjoyed a sustained run as one of our nation’s favorite apples, firmly entrenched in America’s top ten (the sixth most popular variety grown in the United States), and accounting for about two-thirds of the New England crop, where Macs grow exceptionally well. 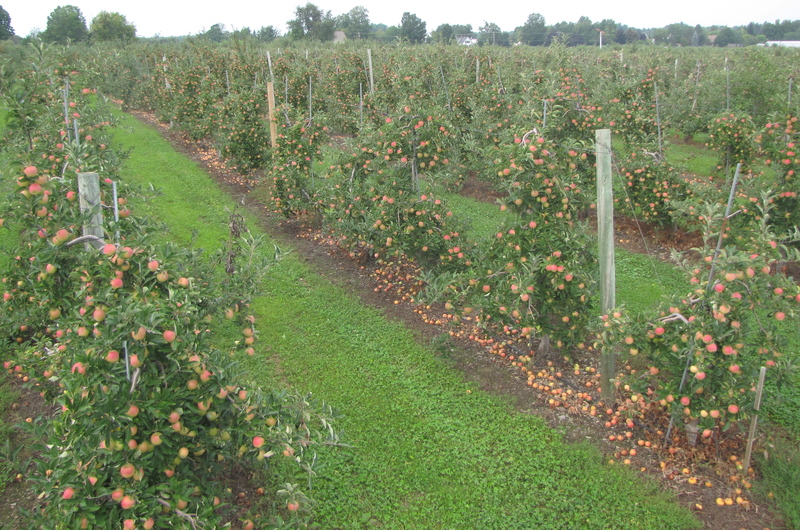 A century ago McIntosh was competing with varieties like Baldwin, Northern Spy, and Rhode Island Greening for marketplace supremacy. 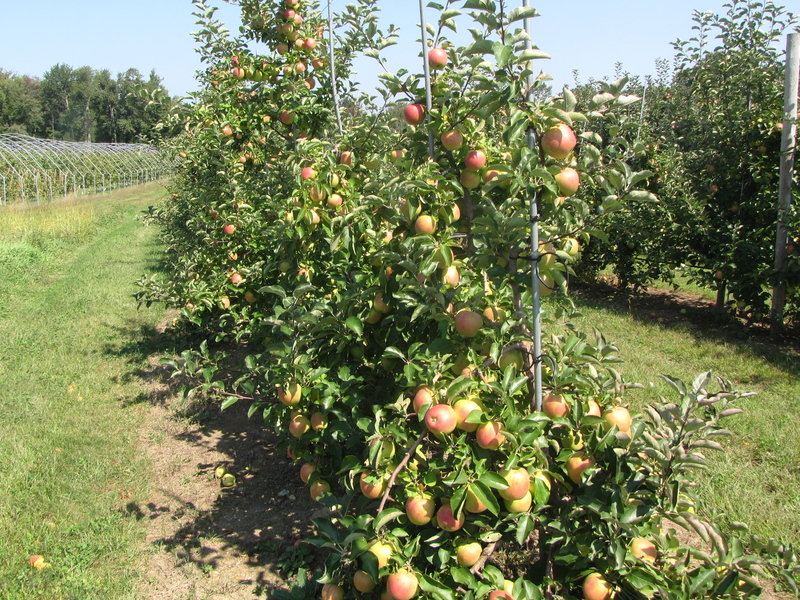 Yet, while those varieties are still grown in a number of the region’s orchards, their popularity crested long ago, and they are now treasured as heirlooms rather than grown widely on a national scale. 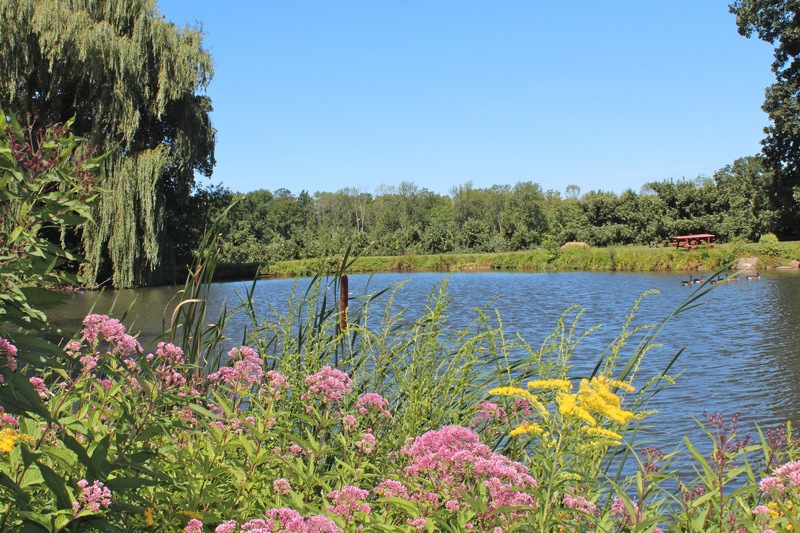 Many varieties that were popular one hundred years ago were not so lucky, and are now rare or extinct. 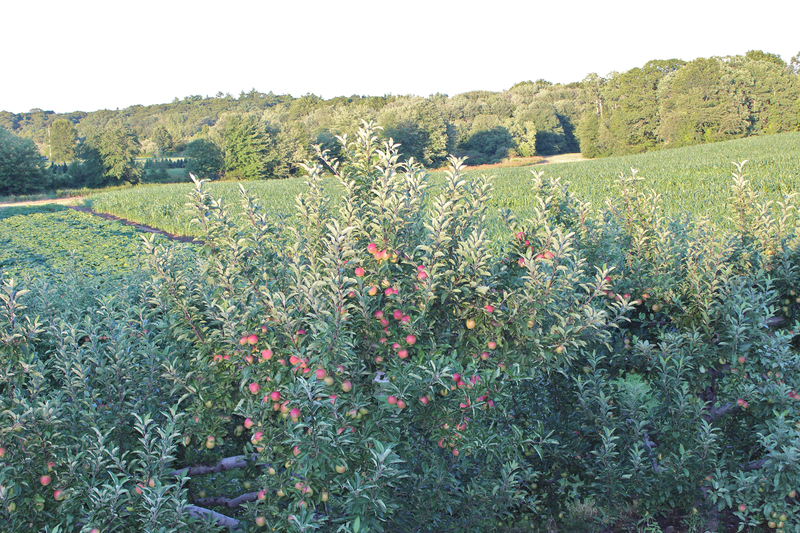 Three Massachusetts apples, for example, were not only regional favorites but cultivated across the country. 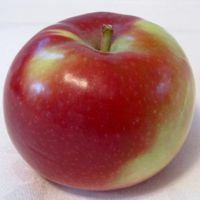 Benoni (an early season apple from Dedham in the early 1800s, with crisp, juicy yellow flesh and red, or orange-yellow, striped red skin), Danvers Sweet (a variety from the 1700s included in the American Pomological Society’s first list of recommended varieties for its sweet flavor and storage qualities), and Mother (discovered in Worcester in 1848 and prized for its appearance and flavor), are now found in just a few places, or preserved in heritage orchards like the Tower Hill Botanic Garden in Boylston, Massachusetts. 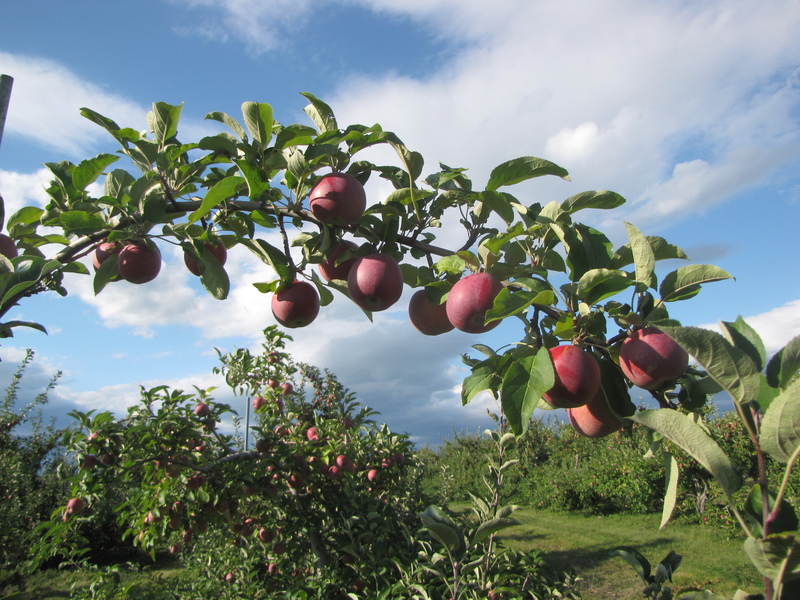 The reasons an apple variety can fade from view are many. It may be difficult to grow or susceptible to disease. 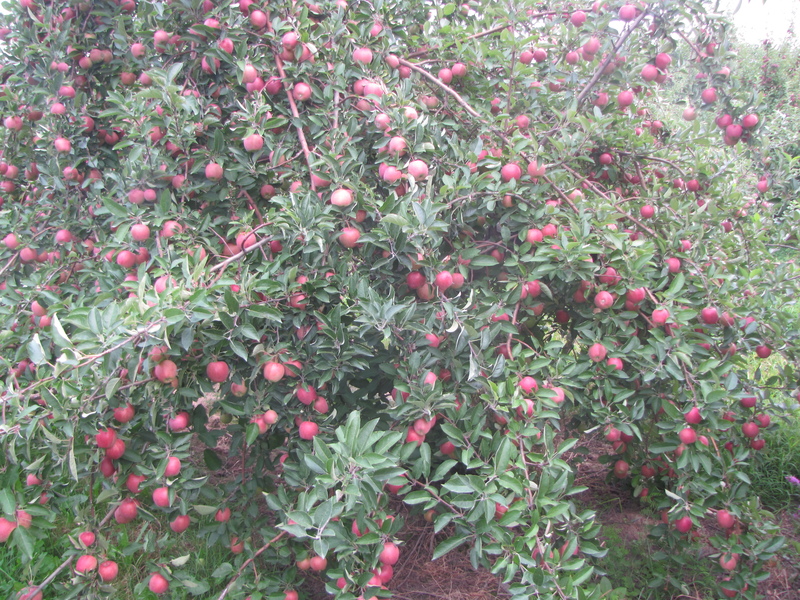 Its fruit may be small or misshapen, or the trees may bear crops only every other year. 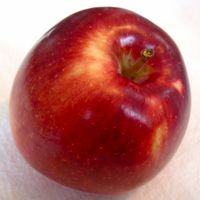 The apple’s core may be too big, the skin too tough, or the flesh too dry. The apple may bruise easily, fall prematurely off the tree, or store and ship poorly — critical factors for commercial success. A variety may simply become unfashionable, its desirability influenced by such superficial factors as color or name. 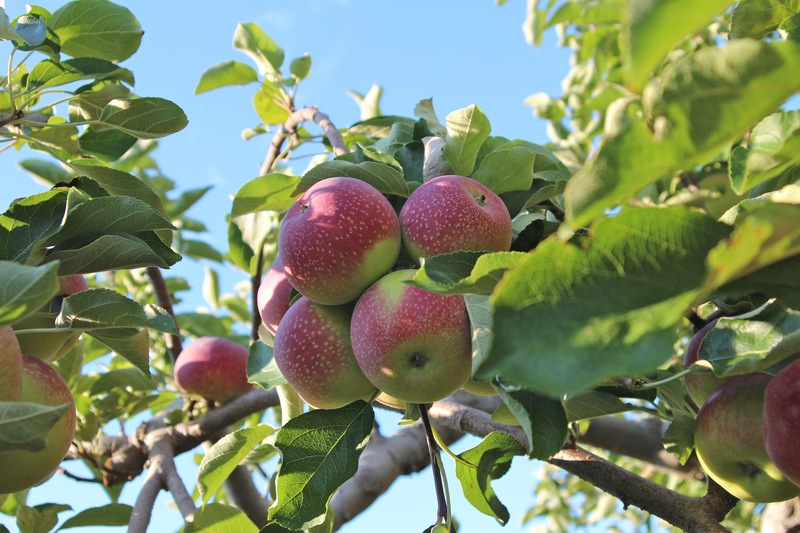 In some instances, the qualities that made an apple variety exceptional where it was discovered simply do not translate well to other climates or soils. 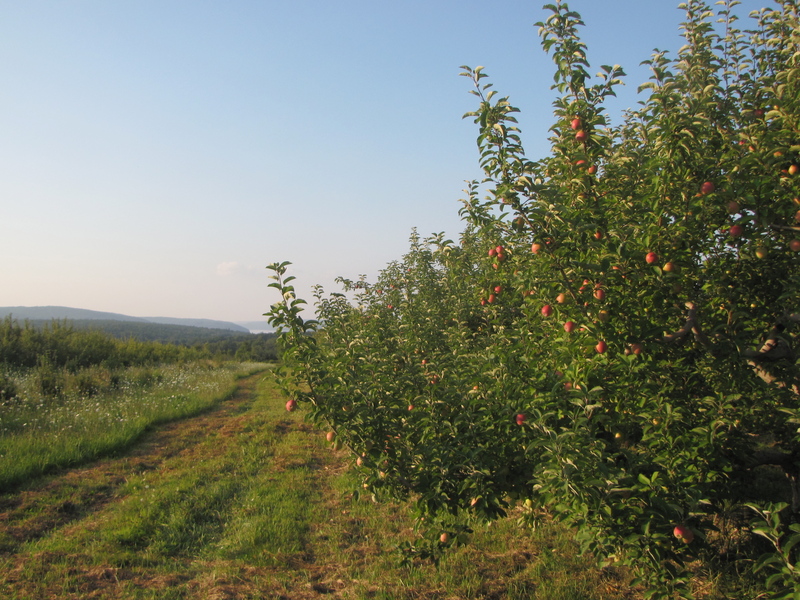 A great apple in southeastern Vermont may be bland when grown in northern Connecticut. 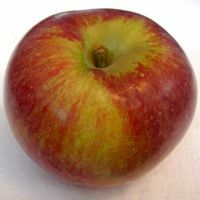 Even the flavor of successful commercial varieties like McIntosh and Honeycrisp can vary slightly according to where it is grown, the time of year, and the particular weather conditions of a season. 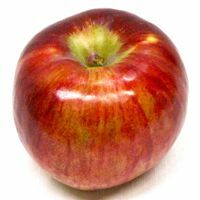 YET McINTOSH is remarkably consistent in flavor and texture, and its attributes well known. 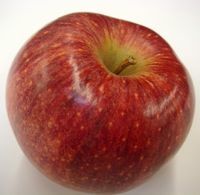 In addition to its distinctive, sweet-tart flavor, McIntosh is one of the most aromatic apples. Its juicy flesh is crisp but not dense. 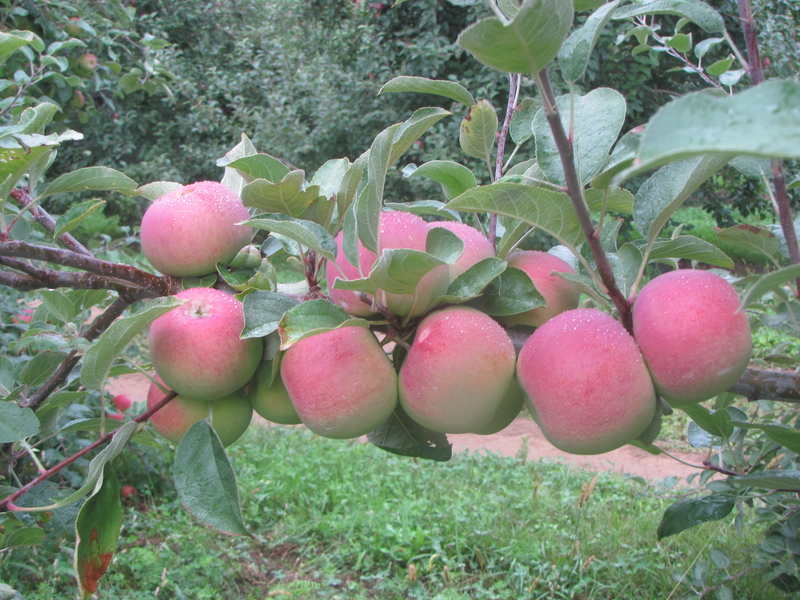 Few apples bring as much pleasure as the distinctive crunch of a fresh McIntosh straight from the tree — and they are now ripe for picking in New England orchards, and available at farm stands and grocery stores. But McIntosh are also great for cooking, and apple crisp is one of the many desserts in which McIntosh excel. We recently made apple crisp using the last of the early season varieties, plus a couple of Granny Smiths that were given to us at the beginning of the summer and that had languished in the refrigerator. 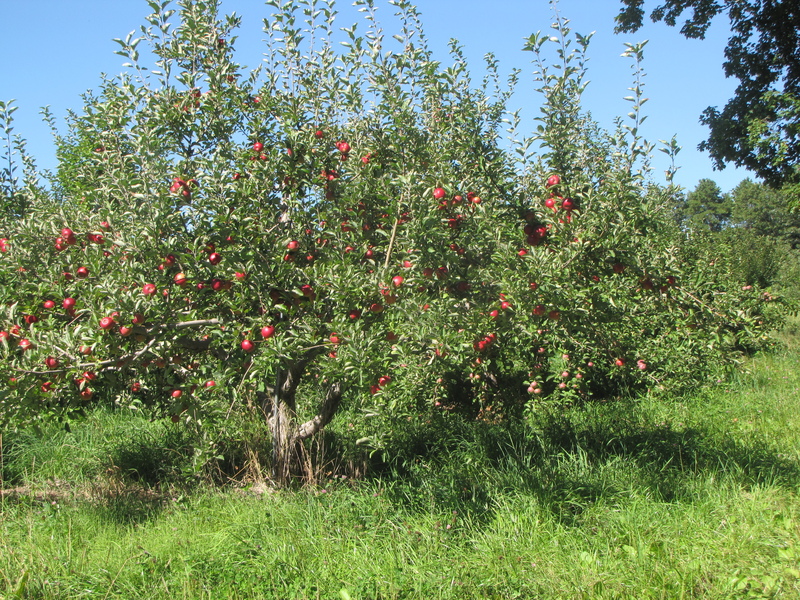 The crisp had good flavor, but it was dry, as the early season apples and Grannies were past their prime, lacking in juice. When this happens, the crisp can be salvaged by adding half a cup or more of liquid, ideally fresh cider, and cooked for 15 more minutes. Water will work if you do not have any cider, or in our case, an eight-ounce bottle of apple juice we had on hand. The result was very good. Had we used McIntosh, though, there would have been no such problem. Its natural juiciness ensures that apple crisp made with McIntosh will never be dry or lacking in texture, and its rich flavor and fragrance are simply sublime. We will feature apple crisp made with Macs (and maybe a few Cortlands) at the New England Apple Association booth in the Massachusetts Building at the Eastern States Exposition (“The Big E”) in West Springfield, Massachusetts, for 17 consecutive days beginning this Friday, September 13. Customers will have the option of topping off their warm crisp (or apple pie) with vanilla ice cream. 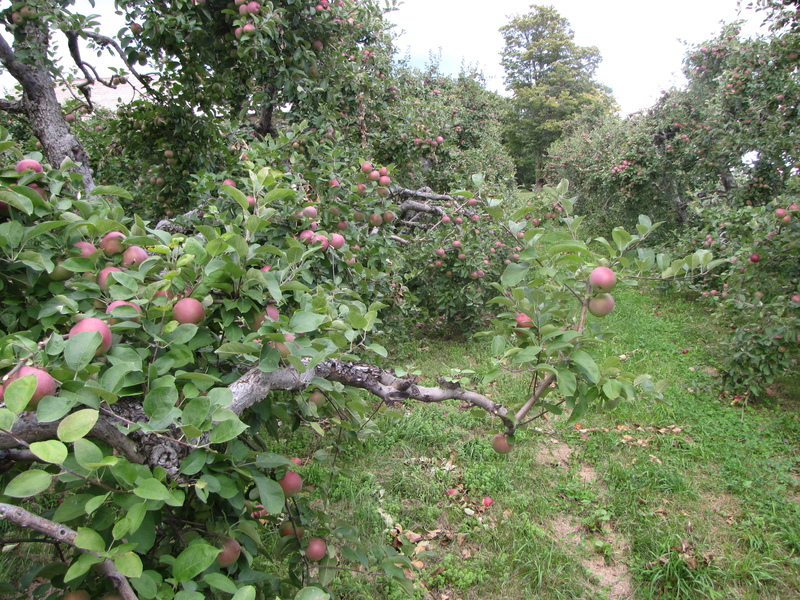 We will also be selling fresh apples at The Big E from a number of orchards, including Brookfield Orchards, Clarkdale Fruit Farms, Cold Spring Orchard, Nestrovich Fruit Farm, Pine Hill Orchard, Red Apple Farm, and Tougas Family Farm, plus single-serving apple pies, cider donuts from Atkins Farm, and fresh cider from Carlson Orchards, and have informational items like recipe cards and our 2014 New England Apples wall calendar. 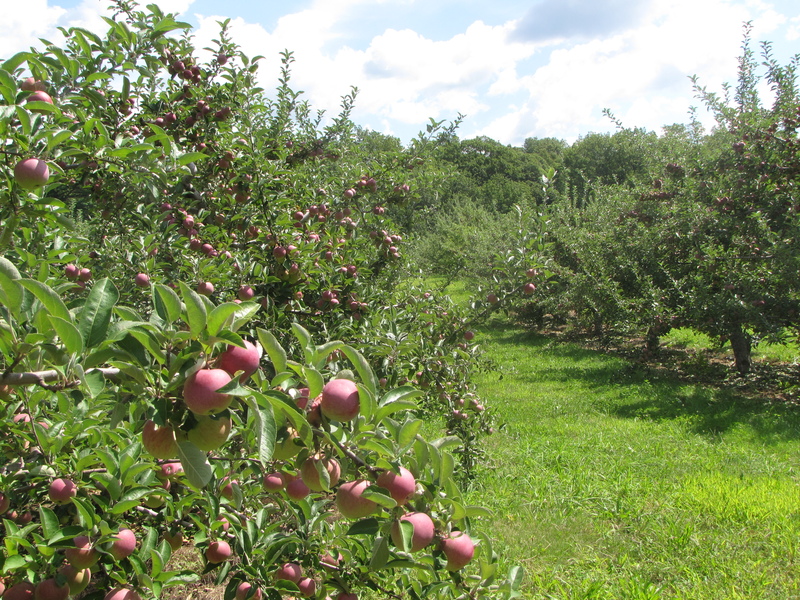 The fair is a great place to sample and learn about apples, including many of the varieties that populate New England orchards today. We cannot guarantee that all of them will be flourishing a century from now, but it is a good bet that McIntosh is here to stay. The apple crisp recipe we use comes from Lois Castell Browns, grandmother of Executive Director Bar Lois Weeks. Preheat oven to 350˚. Core and slice apples into a buttered 8” square pan. Sprinkle lemon juice and spices over the apples. Combine topping ingredients to cover the apples. Bake for 45 minutes or until apples have softened. 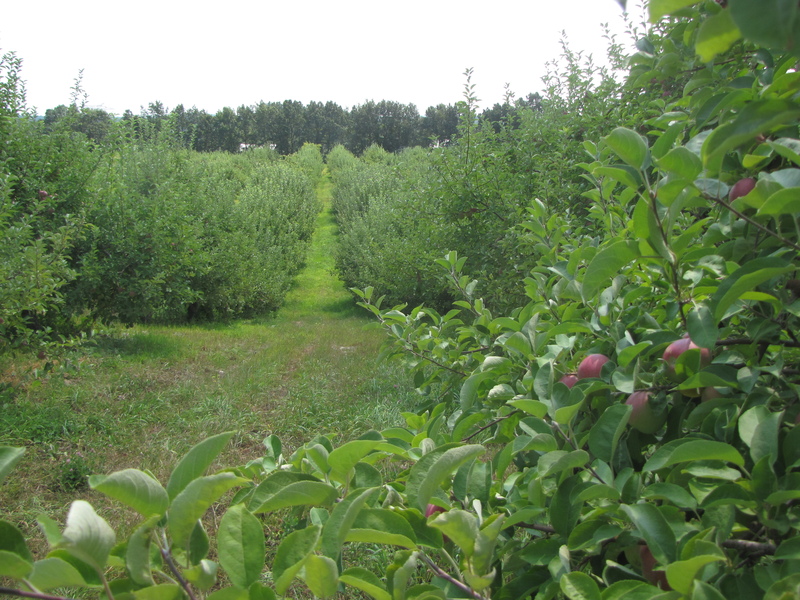 For more information about New England orchards, what they grow, and where to find them, click here.